Life in a dismal bureaucratic cul - de - sac is not what Robert Amiss expects when the British civil service lends him for a year to the British Conservation Corporation. In fact, he finds himself condemned to a non - job in a backwater, managing disgruntled and demoralized time - servers who deeply resent him. Morale is not improved by the arrival of Melissa, a radical feminist lesbian separatist. Only Amiss's sense of humour and the joys of visiting Rachel, his new love in Paris, keep him sane. The malice, envy and anger that burgeons among the filing cabinets is first expressed in pettiness and then in unpleasant practical jokes. Then it escalates and finally culminates in callous murder by means of boxes of poisoned chocolates sent to the bureaucrats' wives. 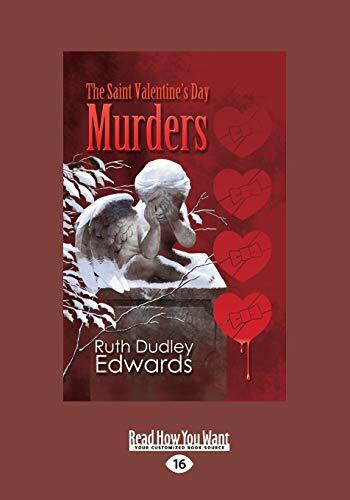 With the help of Ellis Pooley, a young detective obsessed with fictional sleuths, Amiss and his friend, Superintendent Milton, search for motives in an office where marital discord and broken dreams might drive anyone to murder. Dr Ruth Dudley Edwards was born and brought up in Dublin, Ireland. Since she graduated she has lived in England, where she has been a teacher, a Cambridge postgraduate student, a marketing executive, a civil servant and, finally, a freelance writer, journalist and broadcaster.An historian and prize-winning biographer, her recent non-fiction includes the authorized history of The Economist, a portrait of the British Foreign Office and a book about the newspaper world of the mid-twentieth century. She uses her knowledge of the British establishment in her satirical crime novels: targets so far include the civil service, gentlemen's clubs, Cambridge colleges, the House of Lords, the Church of England, publishing, literary prizes and - always - political correctness. She has three times been short-listed for awards from the Crime Writers' Association.